Mr. Rubalcaba (also known as Mr. R) was born and raised in Chicago. After receiving an honor’s bachelor’s degree in English Literature and Psychology, he earned a master’s degree in History, at Harvard University. He received inspiration in a roundtable discussion on the state of American education with Bill Gates, Harvard University President Drew G. Faust, and others, and decided to begin his teaching career by joining Teach for America, an organization that places graduates from the nation’s top universities in K-12 schools of high need across the US. Mr. Rubalcaba has been teaching fifth grade in San Jose Unified School District with a credential from Loyola Marymount University. 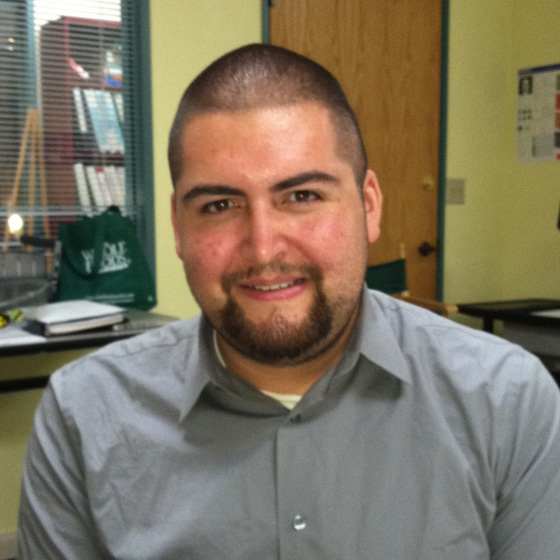 As of August of 2015, Mr. Rubalcaba has now assumed the role of instructional coach in his district, in which he trains new teachers, coaches teachers, and demonstrates lessons at schools across the city of San Jose during group lesson studies. Mr. Rubalcaba has been the recipient of various important accolades at the school, district, city, and national levels. Nationally, in October of 2014, President Obama’s White House Initiative on Education Excellence for Hispanics, a multi-agency unit within the Department of Education, recognized Mr. Rubalcaba with a White House website highlighting his work as an educator inside and outside the classroom. This national award took place during, and in celebration of, Hispanic Heritage Month. This was followed, in January of 2015, by a San Jose Unified School District and Board of Education recognition of Mr. Rubalcaba as an Outstanding Hispanic teacher. Further, in May of 2015, the school teacher community of Selma Olinder Elementary, where Mr. Rubalcaba has taught since 2010, named him the 2015 Teacher of the Year. Most recently, the San Jose Silicon Valley Chamber of Commerce named Mr. Rubalcaba as the 2015 Excellence in Education Teacher of the Year award, a prestigious city competition held annually. Mr. Rubalcaba’s intellectual passions include literature, history, and writing. He firmly believes in the power of the written word to move people to actions, to create myth and memory, and to mold one’s character in a never-ending cycle of self-discovery. Furthermore, his philosophy on the process of writing itself is simple yet revealing—“to write means to rewrite and nothing more,” a seemingly modest revelation that emerged during a heated class discussion with a Harvard professor, who persuaded all her students that no written work has or will ever reach its truly “final” stage. In this sense, writing represents an ongoing conversation between writer and reader. Therefore, there is no greater act, no braver undertaking, than to look at one’s writing and decide to revisit, revise, or rewrite. For it is in any one of these three operations from which sincere learning arises. Given Mr. Rubalcaba’s rigorous academic background and achievements, he looks forward to working with Junior High students at Mill Creek Academy in helping them discover an affinity for the art of writing.